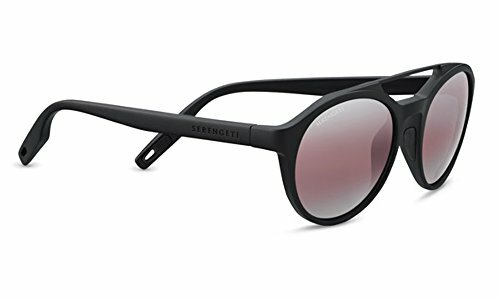 The Serengeti Leandro is a trendy and sport-chic 8593 made with a nylon TR90 and stainless steel frame, equipped with mineral lenses. A unique and elegant 8593 designed for an all-round and an all-year use. Using only the highest-quality injected nylon for superior durability, these fashionable frames have the added benefit of being exceptionally light, chemically resistant, extremely flexible and comfortable.